Since the beginning of time, the subtle differences of a woman’s body have been something of a mystery. Vaginal dryness, premenstrual syndrome, vaginitis, and breast cancer are just some of the problems that can disrupt a woman’s everyday life. It is sometimes difficult to understand the causes and symptoms associated with these health concerns. 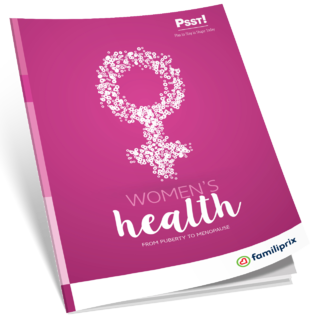 That’s why we created this guide, just for women, to help understand the various conditions that can affect them throughout their life.